"It gives me great pleasure to inform you that you are one of the eight alumni chosen to receive the Indiana University of Pennsylvania distinguished alumni award this year. This is the highest honor accorded to our alumni, one that only 191 alumni out of more than 80,000 have received. It is gratifying to recognize publicly your significant liftetime achievements. This recognition also provides the University an opportunity to show current and future students that an education at IUP provides the building tools for a successful career. We are proud to recognize you as a role model." On Sunday, March 29th -- Honors Day at IUP--in a ceremony attended by over 750 people, Robert was also inducted into the honor society of Phi Kappa Phi. "Let the Love of learning rule humanity". The primary objective of the national Honor Society of Phi Kappa Phi is the recognition and encouragement of superior scholarship in all academic disciplines. The Society is convinced that in recognizing and honoring those persons of good character who have excelled in scholarship, in whatever field, it will stimulate others to strive for excellent. 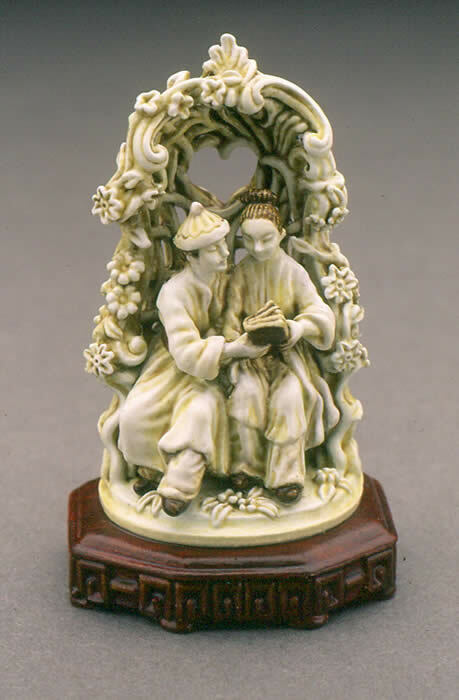 "The Scholars" was offered in a signed limited edition of 375 figurines with an Artist Proof Edition of 37. The figurine has an actual size of 1-1/2" in height (including the base) and is 7/8" wide. The 1998 issue price was $185.00 and was available for sale through Olszewski Studios. This figurine is still available for sale through Olszewski Studios at the prices noted in Olszewski Studios Catalog.